Don’t mess with Texas’ hurricane relief funds. That was the message 23 Texas lawmakers sent to President Donald Trump on Tuesday in response to recent reports that his administration is considering using money meant to fund disaster relief and flood mitigation projects to secure the southern border. Texas Gov. Greg Abbott, Sens. John Cornyn and Ted Cruz, R-Texas, and three local U.S. congressmen — Filemon Vela, D-Brownsville, Vicente Gonzalez, D-McAllen, and Henry Cuellar, D-Laredo — joined 17 other lawmakers in signing and sending a letter to the president Tuesday, according to a joint news release issued by Cornyn’s office. The correspondence was drafted following recent reports that the Trump administration is considering using unspent funds from the U.S. Army Corps of Engineers to build a border barrier. And while the letter made no mention of a border wall or fence, various media outlets have reported the president is mulling the idea of declaring the issue a national emergency in order to find funding for the border barrier that Congress has so far refused to fund. The fight for the $5.7 billion the president wants has led to the longest partial government shutdown in U.S. history, leaving the administration scrambling to find other funding options. 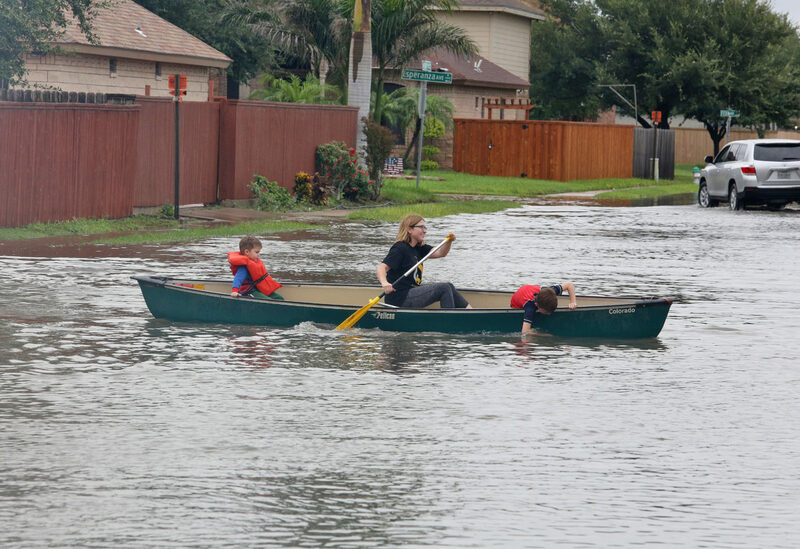 The widespread flooding, storm surges and high winds that Harvey brought when it made landfall in 2017 paralyzed many parts of the state, leveling thousands of homes and businesses, the letter stated. And while Congress acted swiftly to pass three separate disaster supplemental bills — including the Bipartisan Budget Act of 2018, which allocated over $15 billion for public works projects for the corps — many across the state continue to recover. “Redirecting these resources to construct a border wall would be a terrible mistake — a mistake that all Texans can agree on and few will forget,” Gonzalez separately said.